Light Roast/Dark Roast: What do these terms mean? At the risk of entering a “religious war” zone, we should discuss the issue of roast level and how it impacts what you taste in the cup. My goal is not to advocate for one or the other (I like both); my goal is to help NanoRoast customers discover what levels deliver the most enjoyment for which bean. Don’t assume you will always prefer light or dark roasts until you have tasted some of each major origin and varietal at both ends of the spectrum. Don’t be surprised if you like some kinds dark (common for Indian and Sumatran) and some more to the lighter-medium range (common for Central American and Island coffees). Better quality coffee can be roasted lighter without tasting sour, grassy or flat. Lighter roasted coffee has a wide range of flavor profiles because they are based on the characteristics of the bean, e.g., its origin, variety, what’s growing next to it, etc. Darker roasted coffee has a narrower range of flavor profiles because they are more about the Malliard reaction properties involved in converting sugars to carbons that tends to be similar between beans of all origins and varieties. One reason why people like dark roasted Indonesian coffees is that the bittering component of the chemical reactions complements the earthy, savory flavor components unless they have been completely carbonized. Lighter roasts have upsides and downsides. They can be mellow and full of many interesting flavors, or sour or bready if they are under-roasted. Many of the finest beans have a wide range of beautiful flavors that are completely lost in a darker roast. Lighter roasts can have more zing and more body. Some lighter roast beans look pretty inconsistent and even mottled. Oils are generally retained within the bean, perhaps giving a bit longer shelf life under otherwise good conditions. Generally speaking, you want a lighter to medium roast when you want the bean to show its characteristics. Darker roasts have upsides and downsides. They can be lovely up to a point, when you want the roast to speak. This is especially true with espresso, where you want stronger, pleasant bittering to enhance a cappuccino or espresso shot, or to stand up to all the milk, sugar and flavorings of today’s popular coffee drinks. Dark roasts have a narrower range of flavors within the possible spectrum the bean offers, and this perhaps leads to more consistency in flavor and looks from batch to batch. 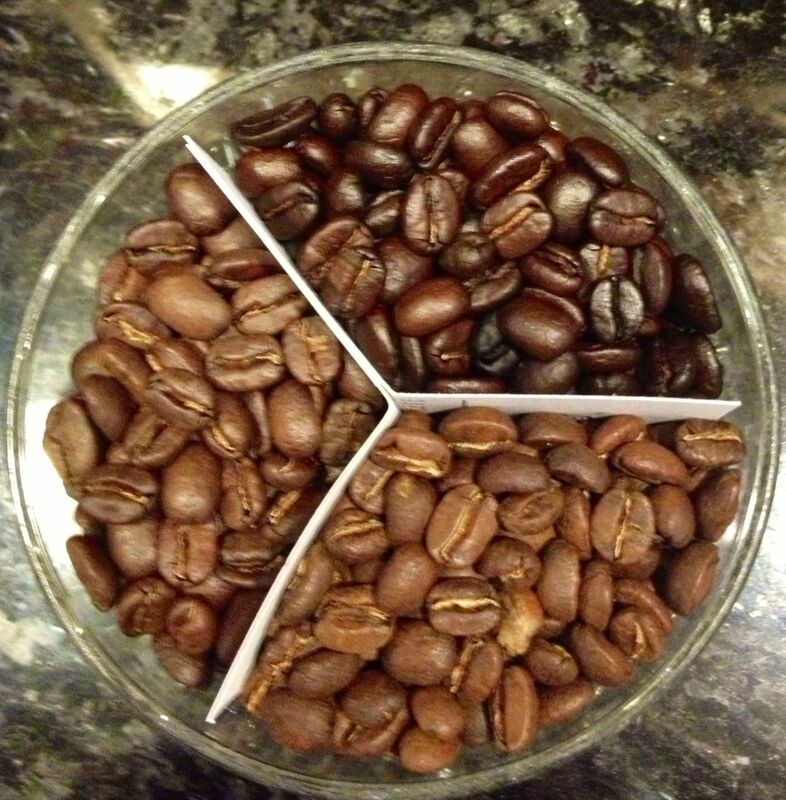 In general, the darker the roast, the less acidity (pleasant brightness) and more bittering elements are present. Taken too dark, then brewed as drip, dark roasts can turn bitter and nasty. In addition, the oil is driven to the surface, allowing the bean to become stale very quickly. Lighter roast = The lightest roast that won’t be sour, bready or grassy, usually a City – City+ level. Medium Roast = The middle of the bean’s range, in which bean characteristics are dominant, with a little of the roasty flavors rounding out the profile, usually a Full City – Full City+ level. Medium-Dark Roast = Roasty flavors are now beginning to dominate, but the bean flavors aren’t completely gone. Beans are usually darker brown with a few specks of oil on the outside, probably a light Vienna roast. Dark-Dark or Espresso Roast = It’s as dark as we can go without burning the bean. For classic espresso, we are looking for a bittering note, as in a French roast level. Melange = A melange is a mixture of roast levels, light to dark, usually 25% light end, 50% middle range, and 25% dark end of the spectrum for the same bean. In some coffees, this is a great effect. We mention it where we think the melange option is worth trying. When in doubt, email us for specifics for the bean you want.